Scott Gilmour and Claire McKenzie originally met at The Royal Conservatoire of Scotland. Since then, the duo has written several musicals together that have been shown at festivals around the world. In writing “The Girl Who,” Scott Gilmour and Claire McKenzie wanted to give the audience a say in the plot. The musical has 128 possible storylines driven by audience input, which may leave them wondering if they really made the right choice. “The Girl Who” will run at the Mussetter-Struble Theater March 15 and 16 as a part of the American Music Theatre Project at Northwestern. Workshops for the musical, a Noisemaker production company original, began this week. Gilmour said he met McKenzie at the Royal Conservatoire of Scotland, where he was studying musical theater and she was studying music composition. He added that they worked on their first original piece there, and, since then, they have written several musicals together that have been shown at festivals around the world. Brannon Bowers, the producing director of the American Music Theatre Project, said this is the duo’s second time coming to Northwestern to workshop a musical. 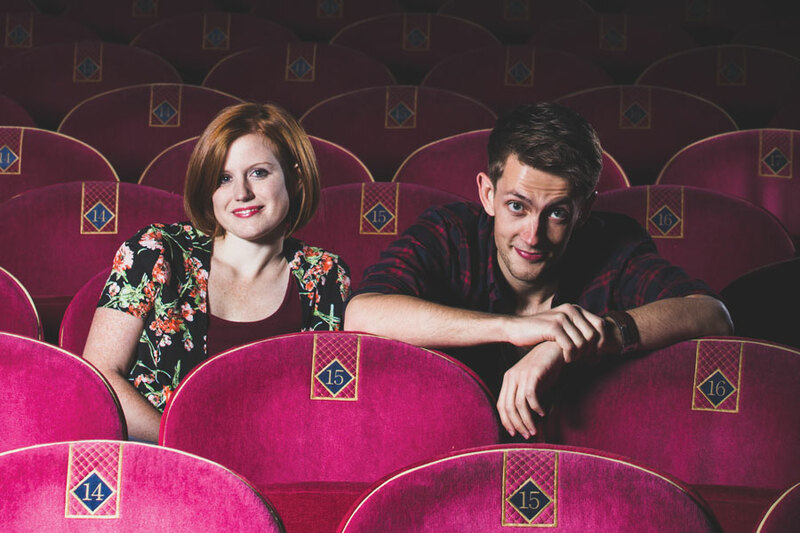 The production is the result of a partnership between NU and the Royal Conservatoire of Scotland that started in 2016 with the goal of developing two musicals annually — one written by the American team and the other by the Scottish team. “It’s really useful to see art that is made not in the United States and see how other countries and cultures are developing new work and what they think is important to bring into a national and international conversation,” Bowers said. McKenzie also spoke about the cross-cultural exchange, adding that students are able to experience both the American and Scottish processes when it comes to producing a show. The duo is in residence at NU for six weeks, with the first four weeks focused on developing the show, advising acting techniques and talking through the key themes, Bowers, who uses they/them pronouns, said. They added that the final two weeks will include full production workshops leading up to performances. McKenzie said the show takes a lot of work because the cast has to be prepared to go in any direction the audience leads them. Depending on what the audience chooses, she said, it’s possible that not every character in the script will be a part of the show that night. Gilmour said he hopes to push actors out of their comfort zones with this unusual work of theater. Aside from engaging the audience in a unique way, “The Girl Who” calls upon political themes that are close to home for Gilmour and McKenzie. The duo wrote the show during the 2014 Scottish independence referendum — a vote held to decide whether Scotland would remain a member of the United Kingdom — and wanted to emphasize the importance of choice. Gilmour said they want that theme to carry on here at NU. “What feels like a little thing in the moment can have a lasting impact,” Gilmour said.